We featured the gray LEGO compatible light switch plate three years ago. Need more colors to match your room? The 3D printed light switch plate may be a nice solution and it also works with your favorite LEGO bricks. This is a pretty fun and practical light switch plate printed by Da Vinci 1.0 3D printer. 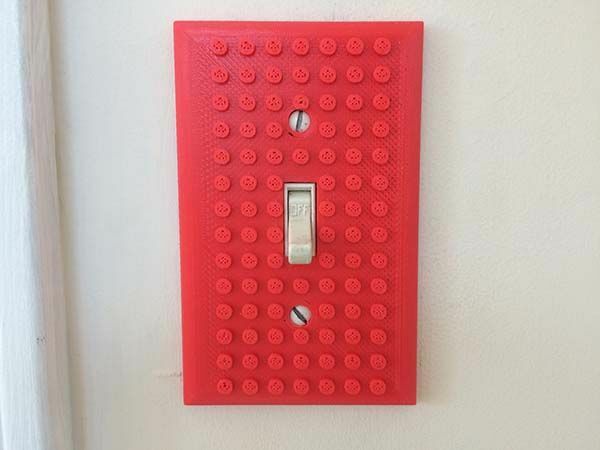 As we can see from the images, similar with Building Brick switch plate, the 3D printed creation also features a LEGO base plate-like surface in order that you can use your own LEGO bricks to customize a one-of-a-kind light switch plate, and it comes in 9 optional colors that enable it to have more potential to perfectly match your interior decoration. 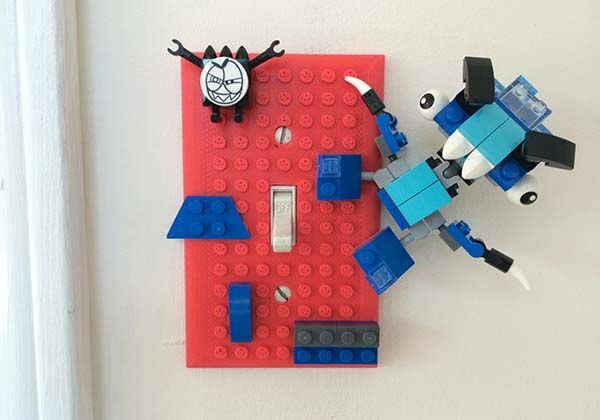 The creative light switch plate is 3D printed using same high-quality ABS plastic as LEGO’s for durable and long-lasting construction, but it doesn’t comes with screws, so you will have to use existing screws to fix it on the light switch. The 3D printed light switch plate is priced at $4.95 USD. If you’re interested, jump to Etsy for its more details. Additionally, also don’t miss the steampunk light switch and more related cool stuff by following tags.